A quality and comprehensive advance PHP training course helps a developer become adapted and expert in all the aspects of AJAX and PHP web development, highly in demand in today’s market scenario. The most striking feature of AJAX! The end user experience and interaction with the site is enhanced, with no reloading of the web page for dynamic content. 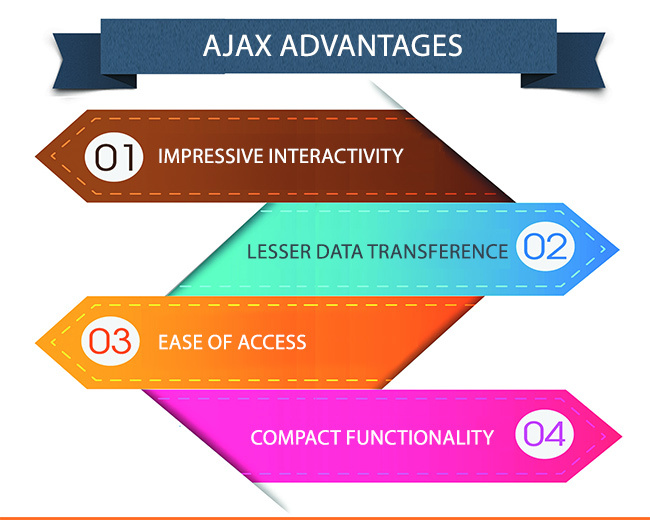 Ajax reduces the traffic between the server and the client, restricting sending of complete form data back to the server, which makes operations slower with higher utilization of network. The server processes only the limited data, thus allowing for speedy network performance. With AJAX based applications on site, like tabbed widgets, lazy loaders, and other web page elements, the user experiences easier navigation, for a convenient and smooth site information access. Traditionally, several web pages were required to perform multi-purpose applications, which has been done away with AJAX as different features and applications can be controlled through a single page. Asynchronous calls can be made by the client browser to the web server, which lets the user to act once more without waiting for the arrival of full data, after a call. This increases the responsiveness of the web site application. Incorporated by Google Maps, vBulletin Software and other leading names are testimony to the increased popularity and vitality of this potent web development technology. Undertaking a professional Advanced PHP training can help developers enhance their overall knowledge and skill-set to embark on a creative and lucrative career path. How PHP professional training can help a web developer? PHP Training – Begin with the Right Prerequisites and End-up with that Pot of Gold!